Are your Emotional intelligence (EI) workshops ineffective? 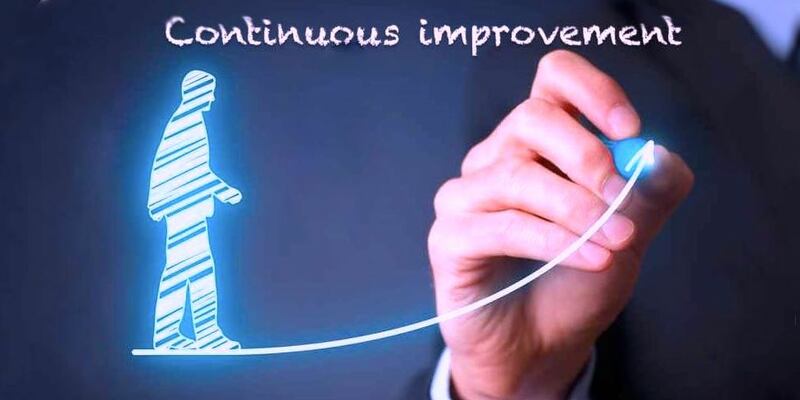 Businesses spend hundreds of thousands each year on non-productive Emotional development workshops to help employees to be more emotionally intelligent, then the delegates go back to work with little or no support – leading to little change and ineffective training spend. Typically Emotional intelligence courses consist of one to three days learning about the importance of EI and how to be more emotionally intelligent. These are often not very effective in the long term. Research by Cherniss and Goleman (1998) suggest that though it is possible to help people of any age to become more emotionally intelligent at work, most EI workshops (on their own) are likely to fail. Why Emotional intelligence workshops often fail: Emotions are contagious – we pick up on other‘s emotions. 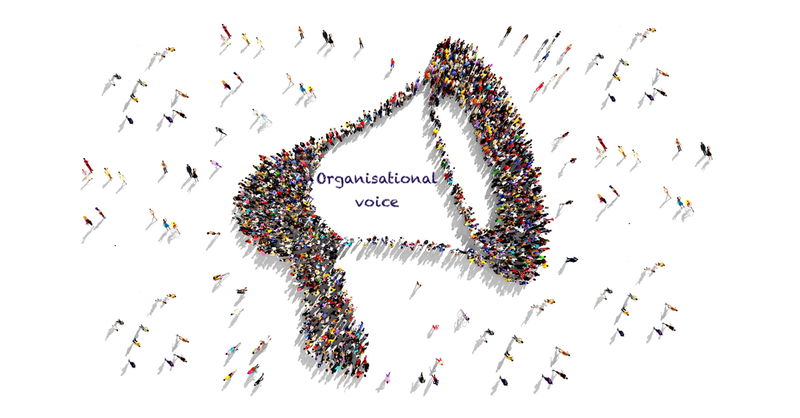 The culture and environment of the organisation impact the sustainability of EI practice. Incremental change is required. EI skills and habits are best learned through repeated social encounters and interactions with other people over time. We must first unlearn old habits before we can learn new ones. Learning EI is different. 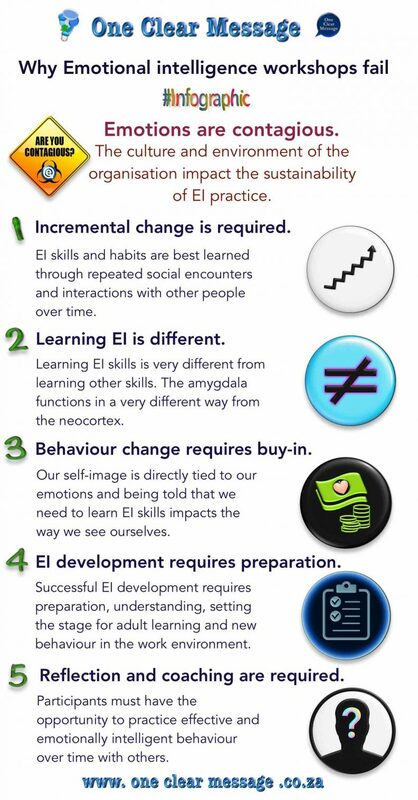 Learning EI skills is very different from learning other skills. The amygdala (the part of the brain that controls emotions) functions in a very different way from the neocortex (the part of the brain that deals with reasoning and intellect). 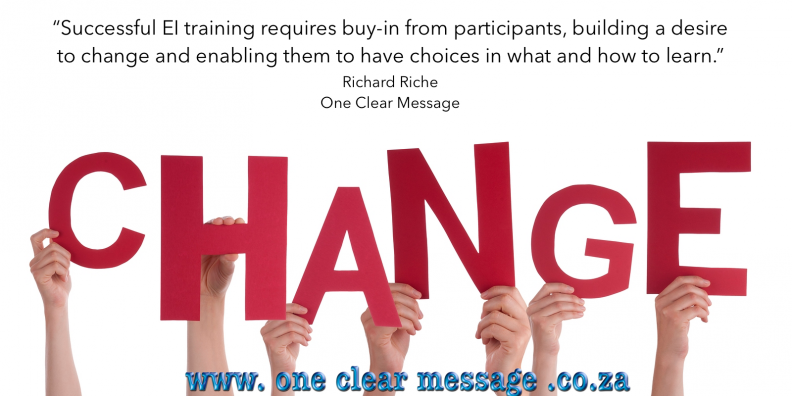 Behaviour change requires buy-in. Successful EI training requires buy-in from participants, building a desire to change and enabling them to have choices in what and how to learn. 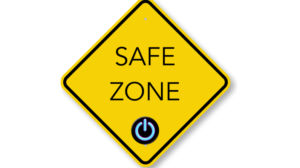 We need to be particularly sensitive to the emotional needs of participants. Our self-image is directly tied to our emotions and being told that we need to learn EI skills impacts the way we see ourselves. EI development requires preparation. Successful EI development requires preparation, understanding, setting the stage for adult learning and new behaviour in the work environment. Reflection and coaching are required. Most importantly EI development requires additional coaching or follow-up (a once off workshop is not enough). Participants must have the opportunity to practice effective and emotionally intelligent behaviour over time with others, and they need the opportunity to reflect on new behaviours. Why Emotional intelligence workshops don’t work alone.